This week's instalment of the African Tech Round-Up was recorded at the African Media Leaders Forum, which wrapped in Johannesburg on the weekend. And what a treat it is! The show is an all-Africa affair — what with Mark Kaigwa stopping by. Mark is easily one of Kenya’s leading proponents of social media, as well as a respected innovator within digital tech in general. He is also the Founder and CEO of the Nairobi-based digital agency, Nendo Ventures— well-known for the Nendo Social Media Trend Report. You can look forward to hearing his insider’s take on several of the week’s biggest stories. 'TV informercial voice' But that’s not all… Cameroonian tech entrepreneur, Rebecca Enonchong, and South African business, branding and marketing legend, Thebe Ikalafeng, both make unexpected guest features on this week’s episode. Rebecca sharing some strong views on whether she thinks the MTN will actually pay the $5.2 billion fine levied by the Nigerian Communications Commission, and Thebe dropping some wisdom around what Africa’s “new breed” of techies need to do to attain global relevance. 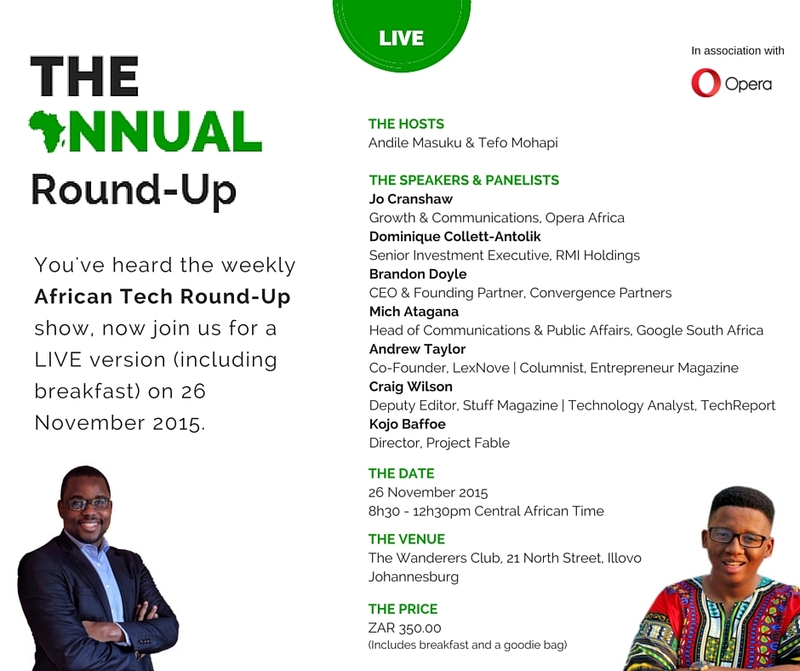 52: Celebrating The African Tech Round-Up's First Birthday!